A Julie Arkell figure. The first I've seen 'in the flesh'. 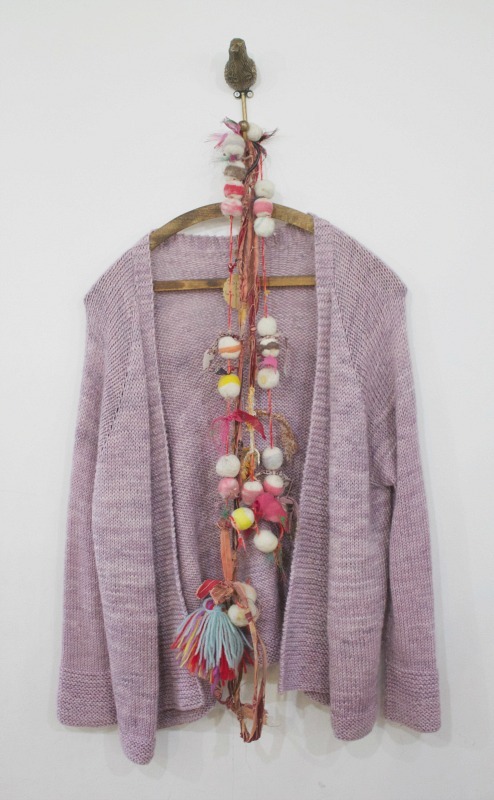 Oh beautiful cardigan. My wardrobe needs you. That outfit, right there. Oh yes. 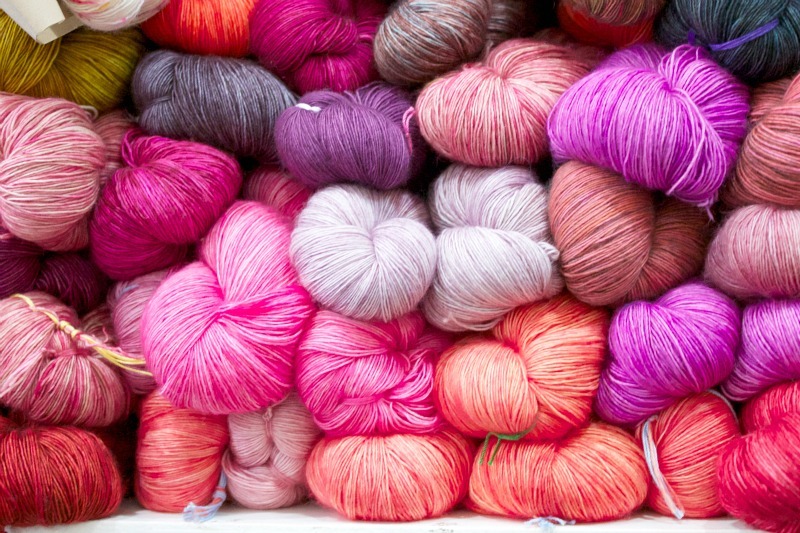 Flowers AND yarn? Really? Be still my beating heart! Misti Baby Alpaca. Like clouds from heaven. 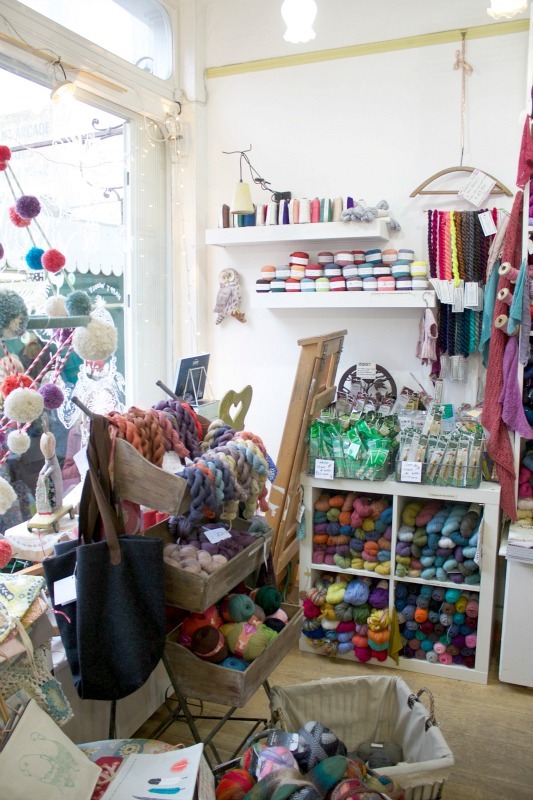 If I am ever lucky enough to own a yarn shop, I should like it to be exactly like Loop in London. ♥ Don't go on a Monday. It's the only day the shop doesn't open. ♥ Use public transport to get there. It's a very short walk from the Angel at Islington underground station. Do not, under any circumstances, turn up in a car with a roomy boot or, worse, a van or lorry. Knowing that you will have to carry your purchases along the streets of London and through thronging crowds will help deter you from buying too much. ♥ Browse the website and write a shopping list before you go. Believe me, on crossing the threshold, your mind will go blank. It will then take off like a rocket and you'll suddenly be overcome with the need for absolutely EVERYTHING. And when I say 'need', I mean really need, like your life depends on it! 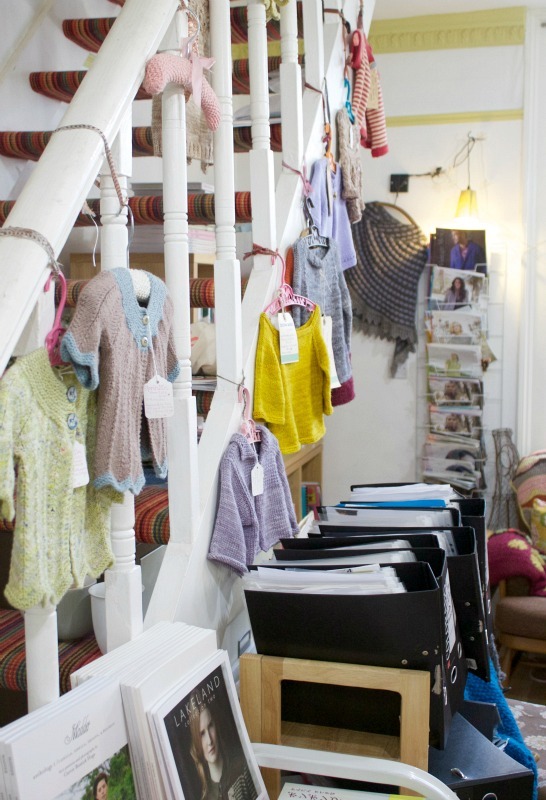 ♥ Have a thorough browse and then LEAVE the shop. Seriously. Go and have a cup of coffee and a little 'time out'. Perhaps enlist a shopping buddy who is bigger and stronger than you and have them physically drag you out if needs be. Allow your heart rate to return to normal and your mind to clear before you venture back. 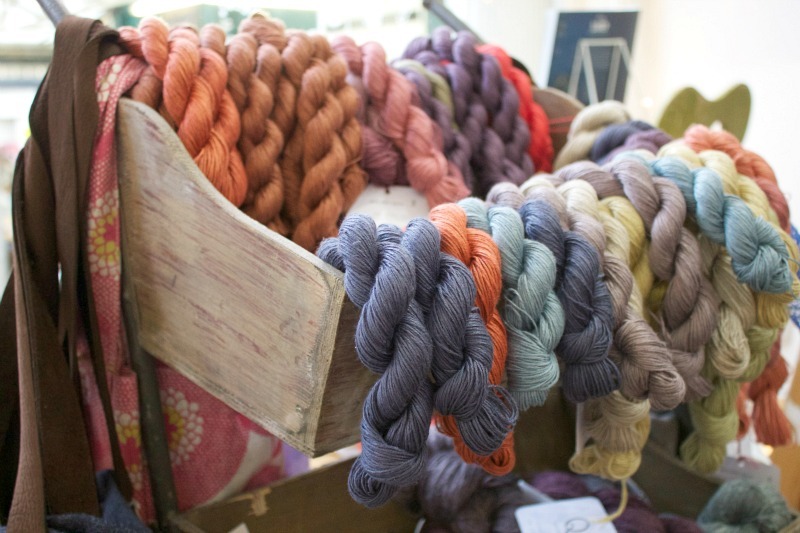 ♥ Familiarise yourself with Madeline Tosh yarns BEFORE you go to Loop. If you don't, the positive kaleidoscope of colours will render you incapable of making any rational decisions. 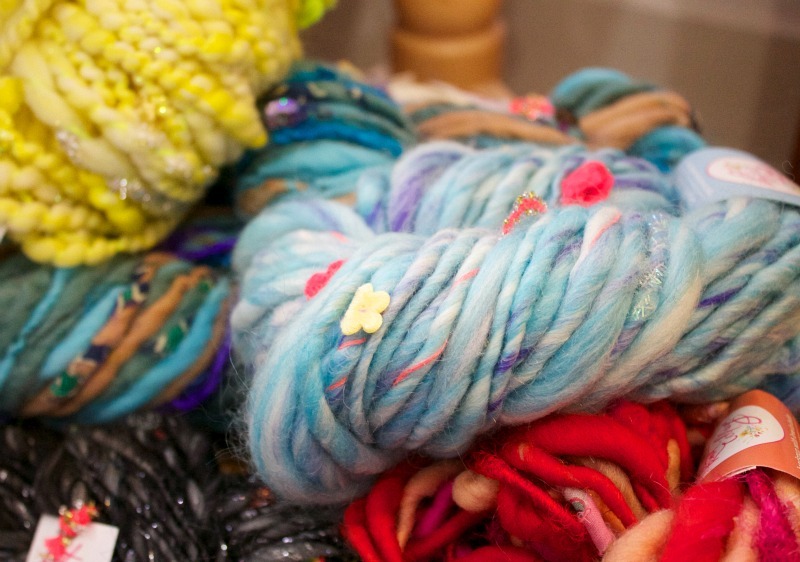 Not only is their founder, Amy Hendrix, a colour genius but I have a strong suspicion that she sprinkles each and every skein with magical 'wanties' dust. 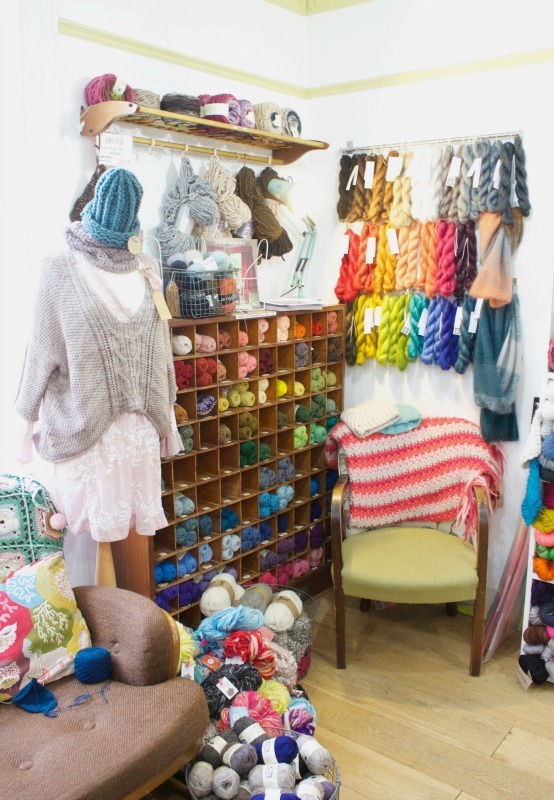 ♥ Familiarise yourself with the feel of baby alpaca BEFORE you go to Loop. 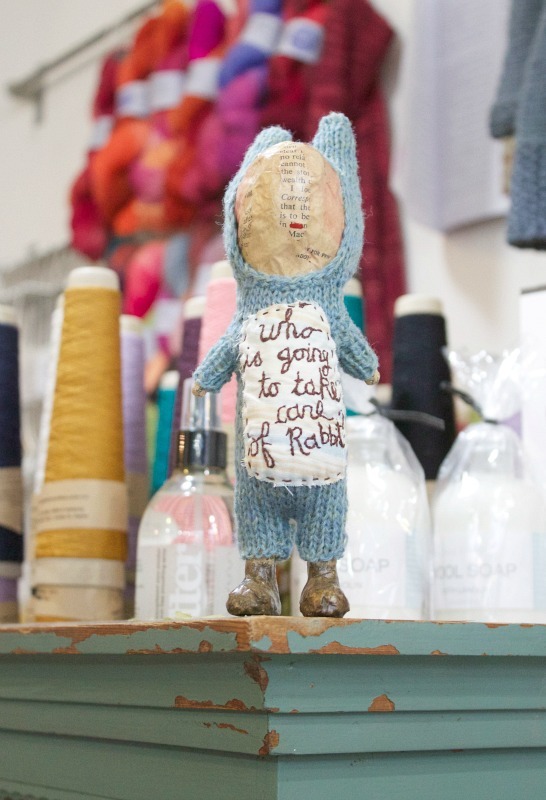 (Preferably Misti Baby Alpaca Chunky.) The temptation to grab an armful, hurl it onto the floor and writhe around on it is almost too much to bear. ♥ Take only the money you can afford to spend. A credit card with leeway is a definite no-no. A small photo of your children/partner/pet in your purse (preferably looking peckish) will act as a handy reminder that they will actually need feeding for the weeks ahead. ♥ Ask a non-yarny type to accompany you and instruct them to whisper sensible and rational thoughts in your ear as you look around. Everything you have written is completely true. 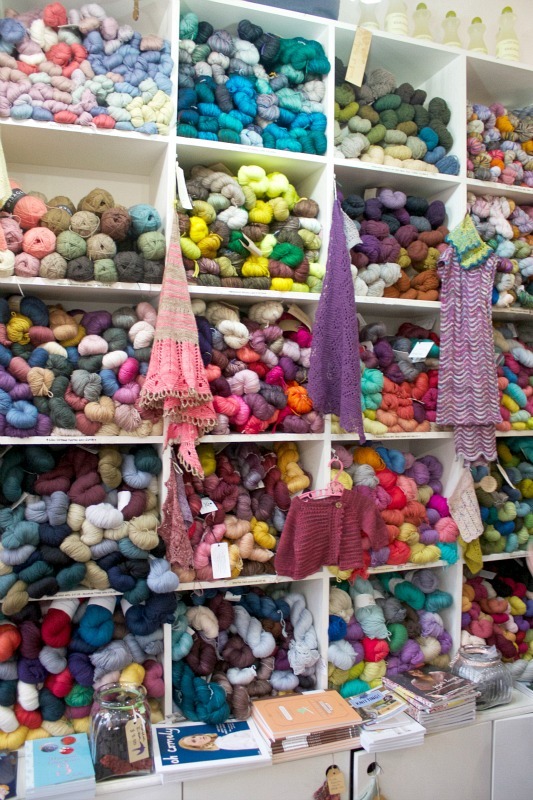 I went to Loop a couple of weeks ago on my birthday, and although both husband and daughter do not understand my love of yarn they did not deter but encouraged purchases. I did go ever so slightly over budget but it was so worth it. Cannot wait to go back again! Now you've made me want to go there - right now! LOL, lovely pics and a brilliantly cautionary tale :) how many of your suggested precautions did you follow.... or shouldn't I ask??? Ha ha ha! My gosh. THANK you for all the warnings. Ha ha ha! Next time I get to London I'll pass by, knowing I only have a cabin luggage which is already filled to the beam and hand luggage is out of question with Easy Jet!!! 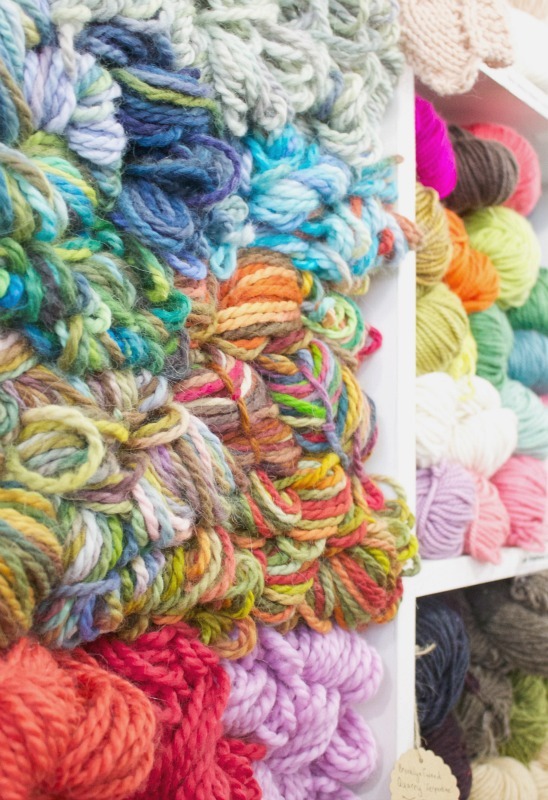 That gives room for exactly 4-5 skeins of yarn that can be squished into any already full space. Probably just what I can afford. Ha ha ha!!! THANKS FOR SHARING. And what did YOU buy??? 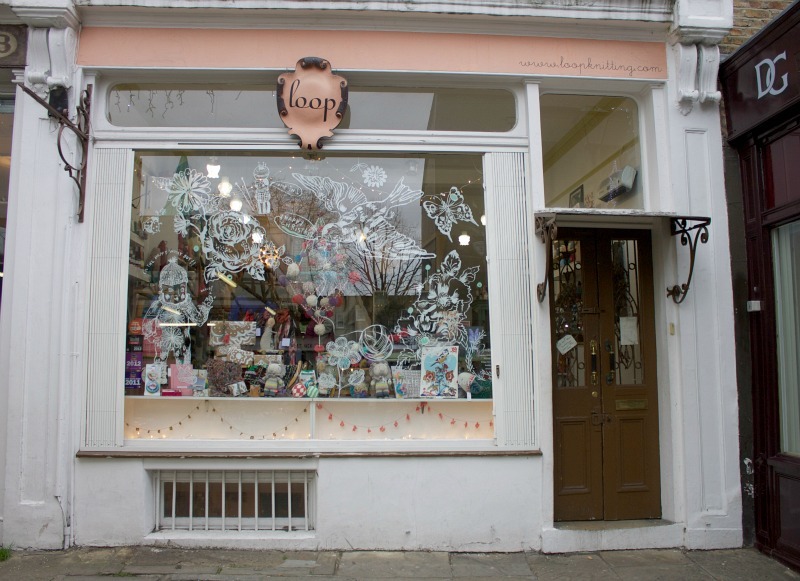 Could not agree with you more, I work far too close to Loop and on my first visit I was so overwhelmed I left without buying a thing!!!! I now alway go with a wishlist and stick to it!!! Wise words indeed my friend. 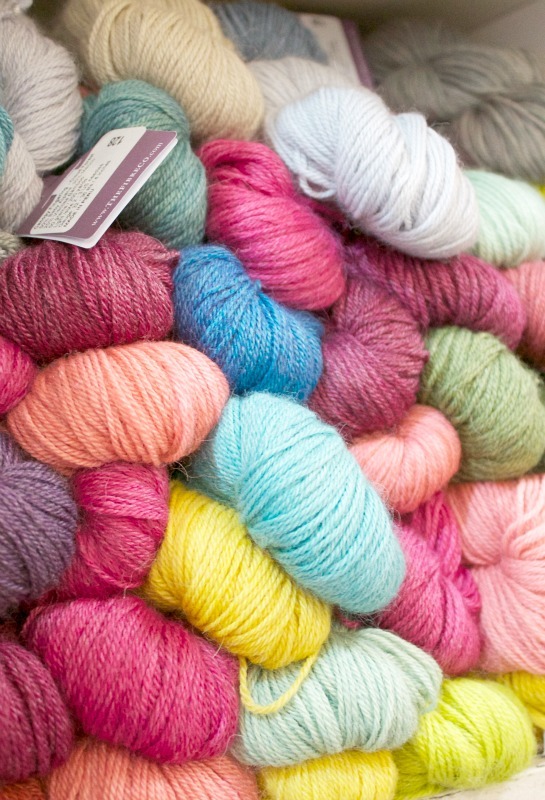 Do not do as I did and take a fellow yarn bonkers enabler with you. Fatal! 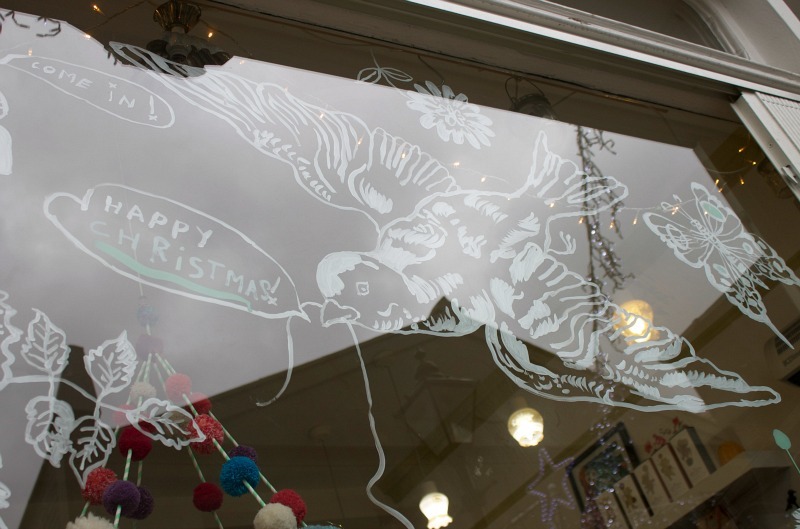 Maybe the day to go is Monday.... then you can look through the window and plan what to buy when it is open...and come away sad but with purse unscathed. to own a shop like that? I would work 8 days a week!!! Now I feel unnatural because I've been a few times and never bought a thing!!!!! I really like Loop, but this post has me worried - I've never gone crazy in there, am I ok?! Your post just made me smile and want to laugh aloud. So many beautiful things would definitely be on my wishlist.